Would you pay extra to have somebody else hose your sidewalk off for you? Community Benefit Districts (CBDs) are spreading all over South of Market, spurred on by new residents who are horrified by the detritus of urban living and facilitated by the increasing proficiency of organizations like MJM Management Group to satisfy this newfound need. The Central Market CBD was created in 2006 and established for a seven-year term that expires on May 31, 2013. The organization is looking to its South of Market neighbors to expand its boundaries and draw in the growing upper scale residential projects and high tech industries flooding into Western SoMa. The annual assessment would cost between $75-$150 per year for each residential unit. They are sponsoring an open house to explain the advantages of belonging to a CBD and answer your questions. 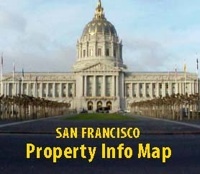 The event takes place on October 25 from 7-9:00 p.m. at the International Art Museum of America at 1025 Market Street. For more information, contact them at info@central-market.org. In my neighborhood enclave we have pinoy living here for 30 years who obviously are not “new residents” who, like folks like me who have lived here 15 years, do not particularly like “detritus of urban living”, particularly since it has increased significantly in the last 15 years. We also do not agree with elected officials, or those who ran for office but failed to win, that merely dismiss our concerns and joke that we are part of the “poo and pee coalition”. Joke all you want, the pendulum is swinging, either join with your neighbors or get out of the way.